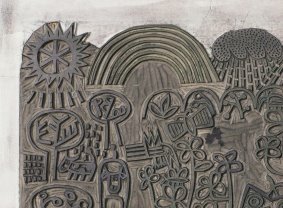 ‘Original’ means that a print is not multiplied from a photograph of an artwork. 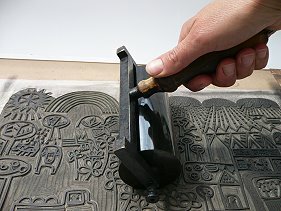 We print the linocuts ourselves directly from the linoleum plates. Each single print is therefore different from others of that edition. And so is classed as an original. We only use high quality ink and acid free printmaking paper. 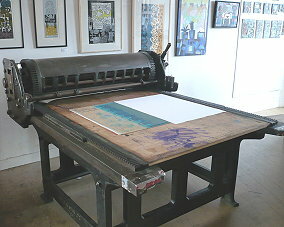 …before being run through a Harrild press in our Arncroach studio. This procedure is repeated for each colour.